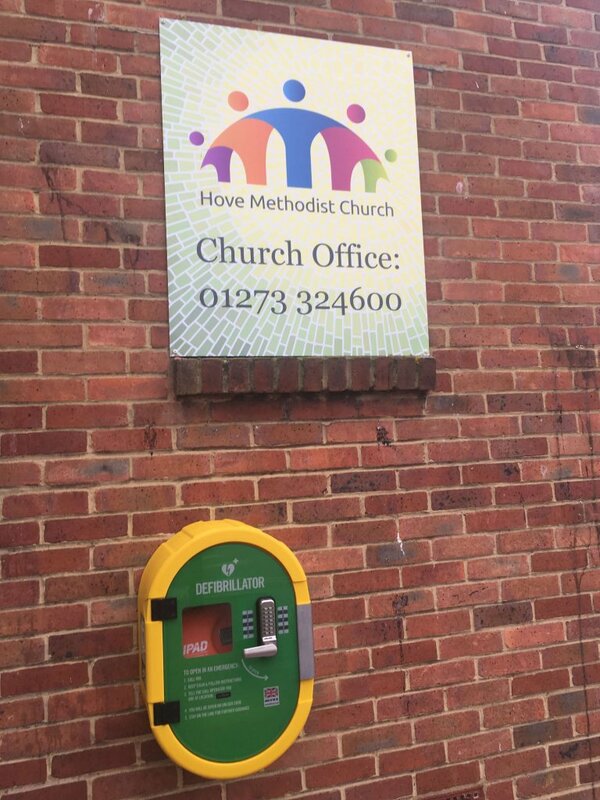 Hone Methodist Church and the Poets Corner Pub have together installed a defibrillator at the north-west corner of the church. In case of emergency the access code is C159X. Hove Methodist Church magazine, ‘Link’.